Every December we go down to Orlando to escape the start of the often brutal Chicago winter (During our trip Orlando was 80+ degrees warmer than Chicago). We typically stay for a week and since going to an amusement park 7 days in a row is a bit overwhelming, we’ve adopted a kids’ day/parents’ day approach. 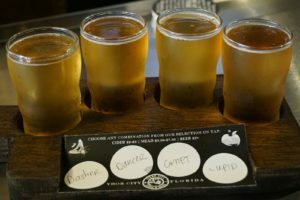 For our parents’ days, we had the opportunity to visit an amazing winery in Orlando and a fantastic cidery in Tampa that we found using Cider Guide’s Florida Cider Map. 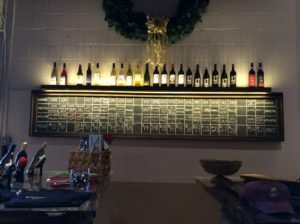 Quantum Leap is a sustainable winery located in the Mills 50 district of Orlando – a relaxed, artsy neighborhood away from the hustle and bustle of Kissimmee and International Drive. 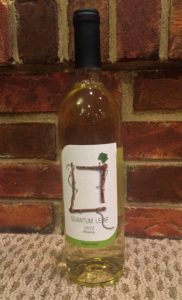 Outside of muscadine, most wine grapes don’t grow in Flordia, so Quantum Leap imports grape juice from the traditional US wine regions. One of our favorites was the Rouge Valley Riesling. While Riesling is not inherently sweet, these wines often get the bad wrap of being uninspired and sugary. However, there are a lot of Rieslings with only a slight touch of sweetness that helps brings out the aromatics of the grape. Quantum Leap’s Riesling was dry and crisp while retaining all of the wonderful Riesling flavors. We also think that this wine is similar to the ciders that Quantum Leap produces – dry and crisp, highlighting the fruit. 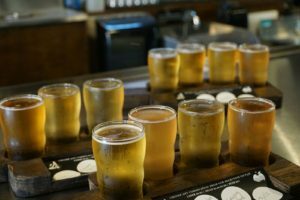 Quantum Leap produces three ciders under the Pedaler’s Brand – Hard Cider, Hopped Up and Peanut Butter. 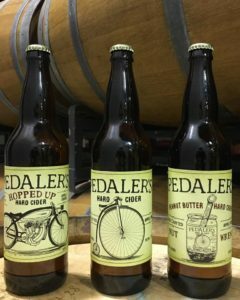 Peanut Butter was a work in progress when we visited, but we did have a chance to enjoy the other two ciders and bring a few bottles of Pedaler’s Hard Cider Home. 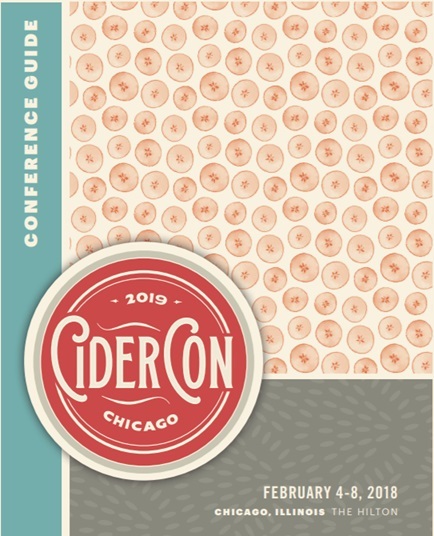 The Hard Cider has ripe, slightly sour aromas – reminiscent of a cut apple that may have sat out for a few hours. The cider is has a very clean taste and the flavors are similar to the aromas with the addition of a slight acidity that lingers a bit on the tongue. The hops in the Hopped Up Cider added a bit of warmth and complexity to the Hard Cider base, but the hops did not overpower the apple, allowing those flavors to still shine through. 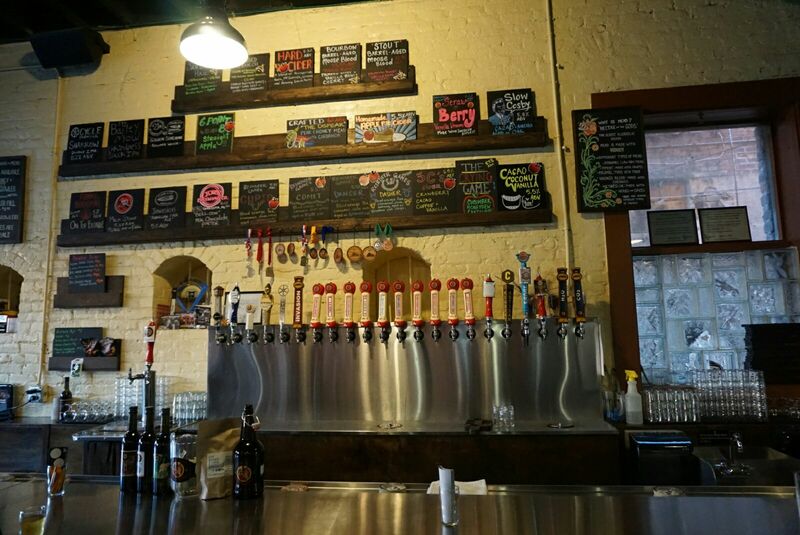 Cigar City Brewing is a well-known craft brewery in Tampa. 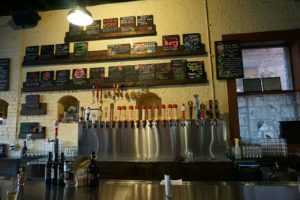 In 2013 Cigar City began producing ciders and in 2014 they opened the doors of Cigar City Cider & Mead (In early 2016 Oskar Blues Brewing Company purchased Cigar City Brewing Company, but not Cigar City Cider & Mead). 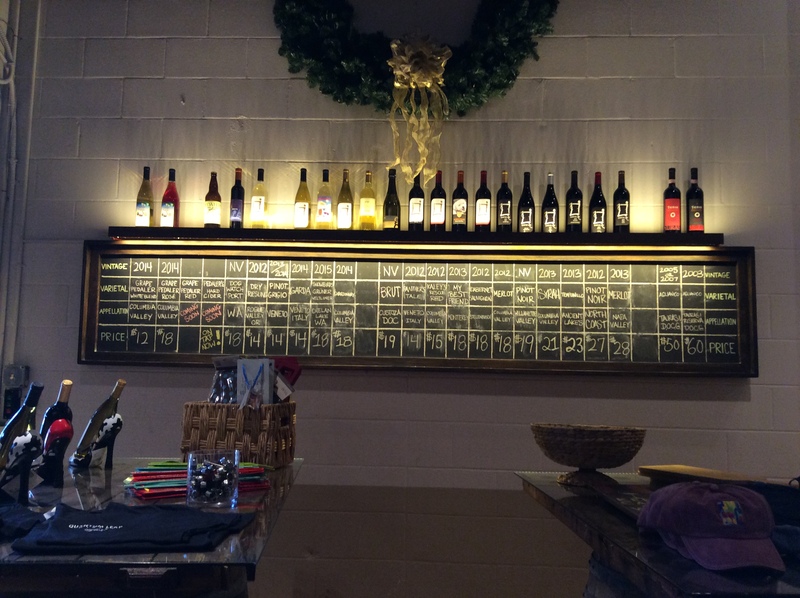 The cidery has at least a dozen ciders and mead on tap, and of course, we tried them all. 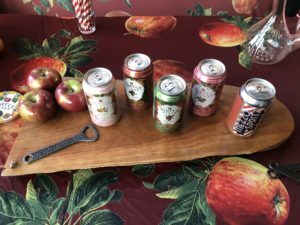 Since we were there during Christmas, we had the opportunity to try a limited edition cider series – Reindeer Games Cider. 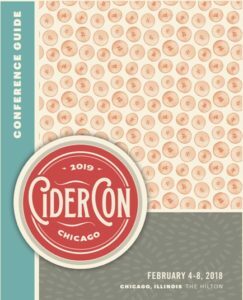 The four semi-sweet ciders start with the same spiced cider (blood orange, tea, cinnamon, clove, and nutmeg), but the each variation is aged on different oak chips: Bourbon Oak (Dasher), Brandy Oak (Dancer), Rum Oak (Comet) and Stange Bedfellows Mead Oak (Cupid). While a couple of the ciders only had subtle hints of oakiness (like the rum and brandy), we could taste that each one was slightly different from the other and the oak flavors stood up nicely to the spiced cider. One of their unique ciders is The Crying Game, which has cucumber, honeydew, and cantaloupe. This semi-sweet cider is what I think Bath & Body Works Cucumber Melon scent would taste like. It has a similar aroma to that scent but is not as sugary as it smells. The melon adds sweetness which is balanced out by the cucumber and apple. 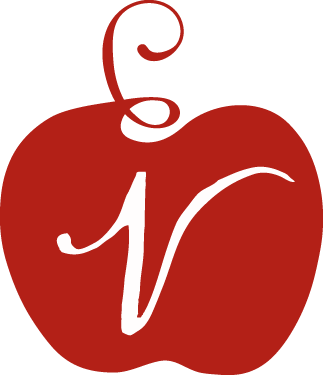 Another unique cider is Strawberry Vanilla Dreams. It has a strawberry and cream flavor that is not too sweet (think fresh, but not overripe strawberries) and still allows the warmth of the apple flavor to come through providing a nice clean finish. Apple pie cider, which is one of their most popular, is a sweet cider that is reminiscent of apple pie crust. There was more warmth to it from the spices than the spiced cider base of the Reindeer Games and the apple flavors were very mellow.